Founded in 1905 by Cuban immigrant Casimiro Hernandez Sr., The Columbia grew from just a modest sixty-seat cafe to a staple of the Ybor landscape for the last hundred years. 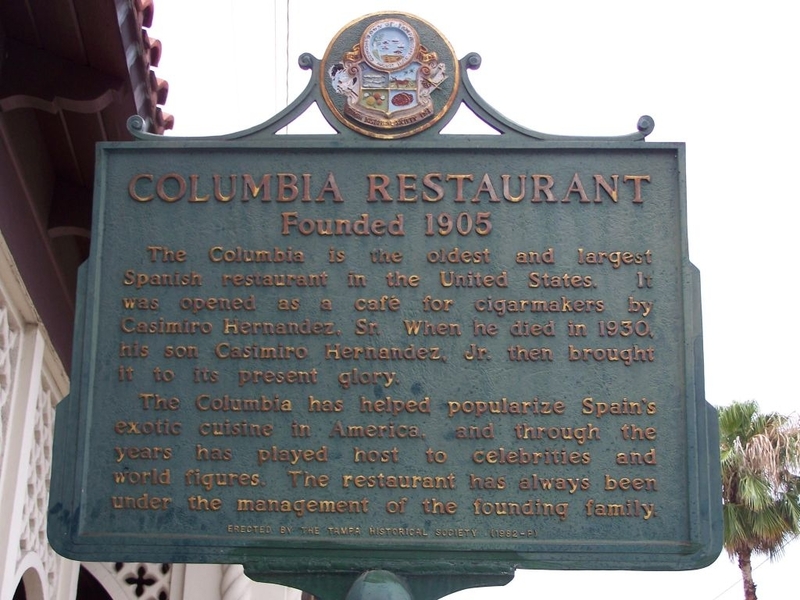 The Columbia is Florida's oldest restaurant and the largest Spanish restaurant in the world. When the Columbia first opened its doors in Ybor City, it began as a corner cafe known for its coffee and Cuban sandwiches. When prohibition threatened the future of the Columbia, Hernandez merged his restaurant with his neighbor, the La Fonda restaurant, owned by Manuel Garcia in 1919. In 1929, Casimiro Hernandez Sr. passed away, and operations of the Columbia were taken over by his son Casimiro Hernandez Jr. Under Hernandez Jr., the restaurant began to transform. 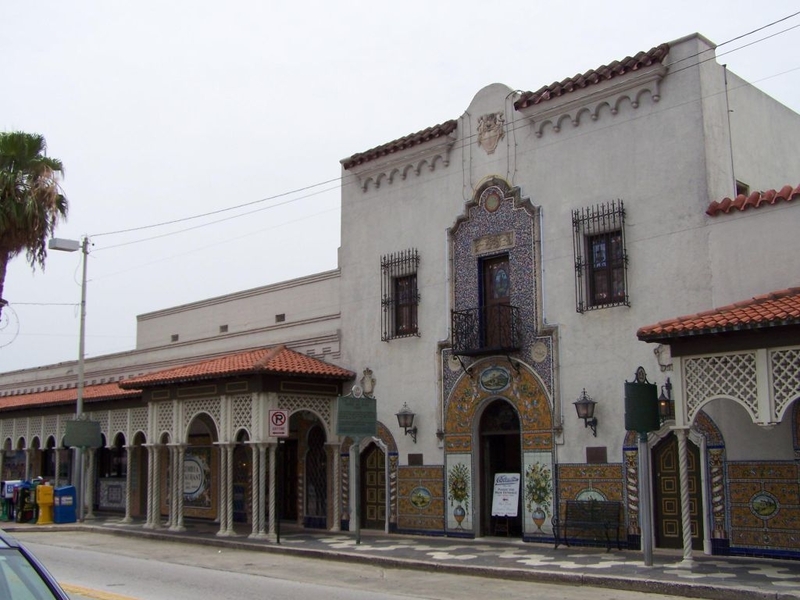 With a vision of his customers dancing to live music, Hernandez Jr. built the first air-conditioned dining room in Tampa- the Don Quixota Room. When Casimiro Hernandez Jr. passed away in 1953, the Columbia fell into the care of Hernandez's daughter, Adela, and her husband Cesar Gonzmart. Adela was a pianist who had trained at the Juilliard School of Music and Cesar Gonzmart was a concert violinist. Until Hernandez Jr. fell ill, Adela and Cesar spent their time traveling and performing. Ybor City suffered in the 50's and 60's due to urban renewal; cigar businesses turned to slums and many people were forced to move away. Cesar Gonzmart knew he had to do something to help preserve the Columbia. In 1956, Cesar built the Siboney Room where the best Latin talent have performed through out the decades. As the Columbia's presence and prestige grew, so did more of its locations. 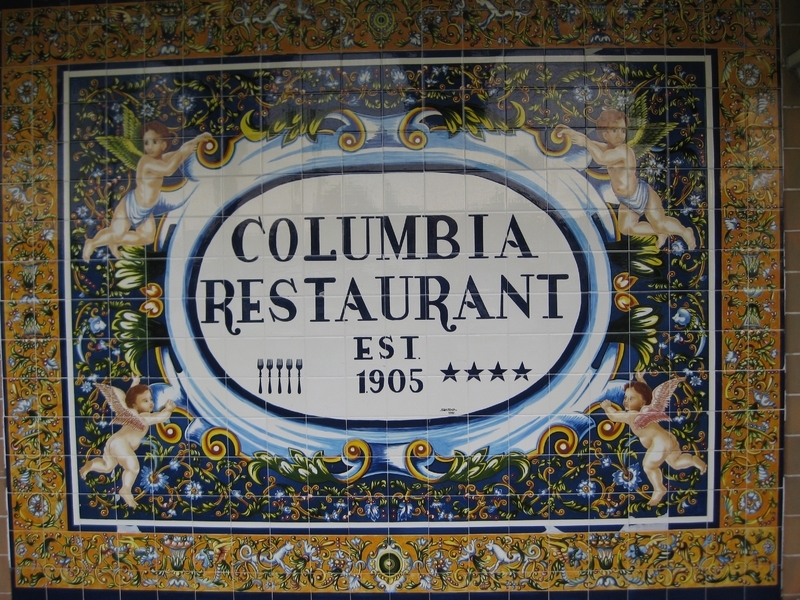 In 1959, the Columbia built a location in Sarasota, which became Sarasota's oldest restaurant. In 1983, Cesar and his two sons, Casey and Richard, opened another location in St. Augustine. Two more locations were opened in 1989 and 1997 in Clearwater Beach and Central Florida's town of Celebration respectively. Closer to home, the Columbia Cafe opened on the Tampa Riverwalk in 2009, and the Columbia Restaurant Cafe opened at the Tampa International Airport in 2012 in partnership with HMSHost. In 1992, Cesar Gonzmart passed away leaving the Columbia to his children continuing to keep the historic restaurant in the family. Cesar and Adela's two sons, Casey and Richard, both married and had children of their own. Casey and Heidi's children (Marlena, Cassandra, Casey Jr., Charlie, Christian, Carson, and Jessica who has one child) all continue to work in the restaurant. Richard and Melanie also have children (Lauren who has four children and Andre who has a child) who help operate the Columbia. The Columbia continues to be a point of proud Cuban culture, which now seats about 1,700 people, and Spanish flamenco dancers still perform nightly except on Sunday. Zoe Lennox, “The Columbia Restaurant,” Tampa Historical, accessed April 20, 2019, http://tampahistorical.org/items/show/89.